This week, I’m joined by Ellen Winter and Chris Littler of Chamber Band to talk about their new podcast for Two-Up Productions, the production company that brought you Limetown. 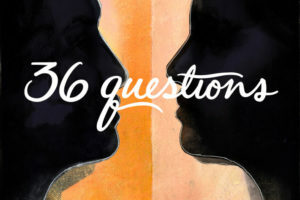 36 Questions is a fabulous PODCAST MUSICAL starring Jessie Shelton (Hadestown) and Jonathan Groff (Glee, Spring Awakening, Hamilton) and you should go and listen to it right now, before you listen to this interview. Go ahead! I’ll wait. You’ll love it.